Mastermindguy1994 2 years, 3 months ago. Here is the much awaited Nougat 7.0 ROM for Galaxy S3 CyanogenMod 14 (CM14). We also have the Lineage 14.1 for Galaxy S3 (i9300). For latest updates, stay tuned to the Lineage OS device list page. One more important update goes here: Official CM14.1 for Galaxy S3 (i9300) and Galaxy S3 nougat Resurrection Remix ROM. If you are looking for S3 LTE CM14 then here is the CyanogenMod 14/CM14 for Galaxy S3 LTE (i9305). Since Google released Android Nougat Source code, we have update many Android NOUGAT AOSP ROMs and we also have a big list of devices with CM14/CyanogenMod 14 Nougat 7.0 ROMs till date. This CyanogenMod 14/CM14 for Galaxy S3 is brought to you by developer Taker18 and another build by NoN1979. If you want to donate Taker18 for his awesome work, you can donate him using this Link. Another ROM is by pesci2k. Download and Copy the GApps and Galaxy S3 CyanogenMod 14 ROM ZIP to your phone. Reboot and Enjoy the CyanogenMod 14 Nougat ROM on Galaxy S3. 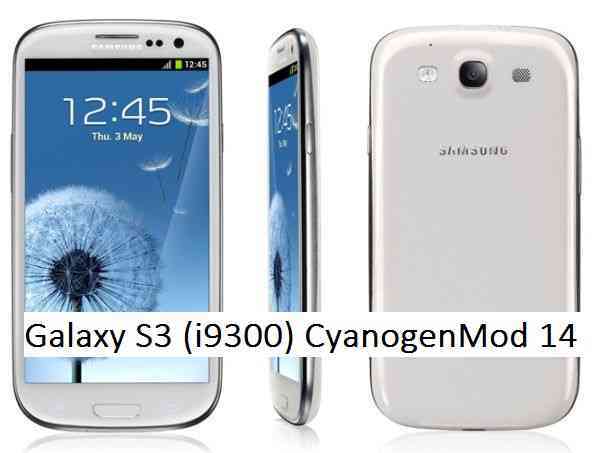 Copy the latest Galaxy S3 CyanogenMod 14 ROM ZIP file to your phone. Stay tuned or Subscribe to the Galaxy S3 i9300 forum For other Android Nougat ROMs, CyanogenMod 14 ROMs, other ROMs and all other device specific topics. Development thread for this Galaxy S3 CM14 is here. De: Does not leave the welcome screen , NOT THIS RUNS , Bluetooth chip , wi -fi. Hi, thanks for the rom. But as Markus S. said, Wifi isn’t working. Neither Wifi nor SIM card working. Bluetooth doesnt work either. In Taker18’s ROM. I will try the other two later. any idea when the S3 (i747/at&t) will have a cm14 rom? Is the Camera still not working. And wha other things dont work? Stock cam does work with the latest ROM of 26 oct.